*Sushi, with rice. 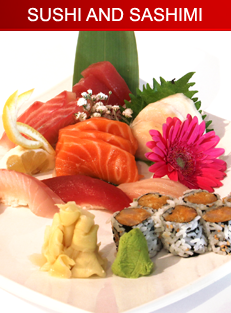 Sashimi, just fish. Copyright Fuji Grill III. All rights reserved.